If you write and perform “Judas Iscariot” in humorous talking-blues fashion, you’d better get it right! 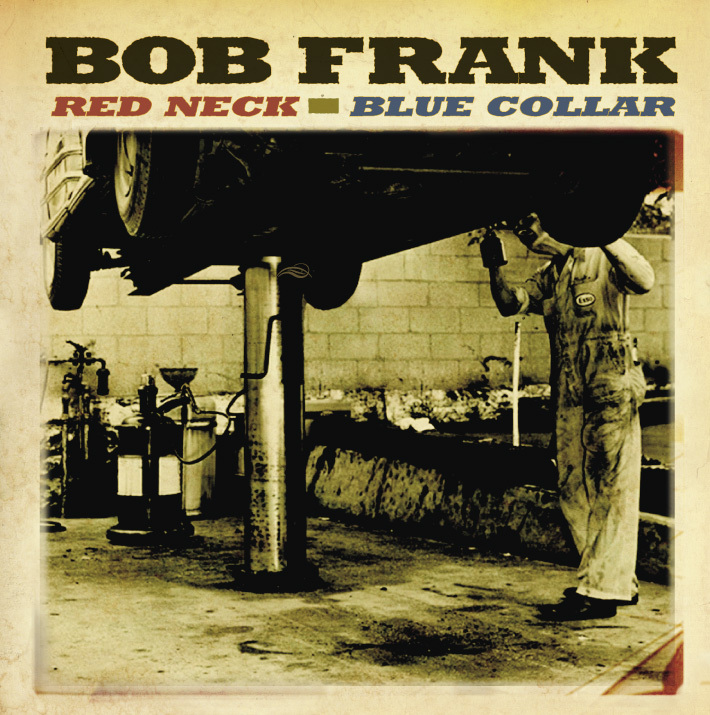 On Red Neck, Blue Collar, Bob Frank navigates between the rocks with his insistent yet expertly nuanced voice, his basic-but-skilled guitar playing, and a bouncy Jew’s harp signaling light-hearted intent — all crisply picked up by recording, mixing, and mastering at three different Memphis facilities. That’s a representative swatch of the pithy chambray fabric Frank’s words weave, hitting them with a couple of words banned from TV while waxing awestruck toward us who face life-and-death decisions when their trucks and trains turn lethal. He isn’t obsequiously generous: The album’s just over 38 minutes long. He doesn’t indulge himself. There are no jams or even long instrumental introductions or endings. Where’s Frank been all these years that we’ve needed his kind of artist? Well, Vanguard released his eponymous LP in 1972. Legend has it that at the release party Vanguard gave him he played a set with no songs from the album. Applying his irreverence to his label meant no follow-up album. We can only hope that won’t be the case this time. – David J. Cantor, Soundstage.